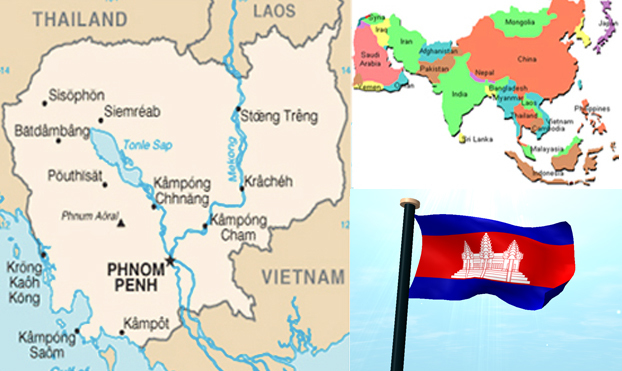 In 1953 Cambodia gained full independence from France. In April 1975 the infamous Communist Khmer Rouge forces, lead by Pol Pot, captured Phnom Penh, evacuating the populations of the cities the countryside to work in the fields and abolishing currency and private property in a violent attempt to restructure the country as an agrarian, communal society. Over 1.7 million Cambodians died of torture, execution, disease, exhaustion, and starvation. The Khmer Rouge eliminated most of the educated and business class, destroying the economy in the process. When finally in 1979 the Vietnamese ended the genocidal “killing fields” of the Khmer Rouge’s their rule, 10 years of intermittent civil war followed, prolonging the social, economic and infrastructural devastation. During the years from 1978-1989, over 200,000 Cambodian refugees fled their country. Many died in the process. The 1991 Paris Peace Accords mandated democratic elections and a ceasefire, which was not fully respected by the Khmer Rouge. The remaining elements of the Khmer Rouge surrendered only in early 1999. 1999 was the first full year of peace in 30 years. Following the 2003 elections, a coalition government was formed. In 2004 King Sihanouk abdicated the throne and his son, Prince Sihamoni succeeded him. The effects of the Khmer Rouge still continue today. 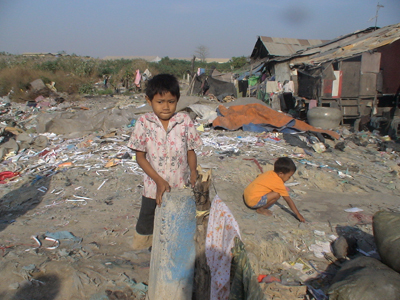 80% of Cambodians remain subsistence farmers and in rural areas, there is lack of potable water, food and electricity. 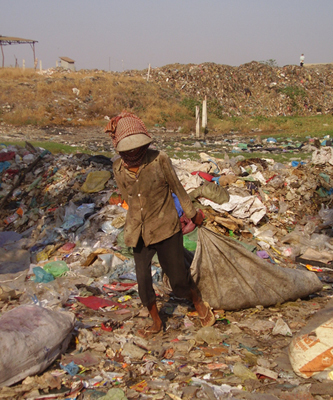 Struggling with financial and moral difficulties, thousands of land mine injuries victims and one of Asia’s highest HIV infection rates, Cambodia remains one of the world’s least developed nations. The Khmer Rouge killed nearly all educated Cambodians, eliminating all the teachers, writers and academics in the country. Educational development is greatly hindered by child labor: 10% of children between the ages of 10-13 and 42% between the ages of 14-17 are engaged in primary levels of labor. For every three boys attending secondary school, only one girl attends. 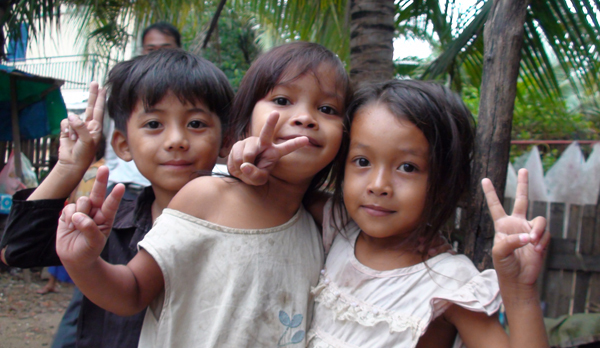 Only 5.4% of Cambodian villages have a lower secondary school. Only2% have an upper secondary. Students who want to attend secondary school must walk miles to reach the nearest school. Many teachers are unqualified and are ill motivated due to low salaries and poor working conditions. Approximately a third of schoolrooms are made out of wood and around a quarter have reported building defects. Approximately 15% have no roofsand 24% have no walls. Approximately 11% of schools are without desks and 6% have no blackboards and only 40% have a school library. Approximately 65% of schools operate a double shift and 3.2% operate a triple shift.